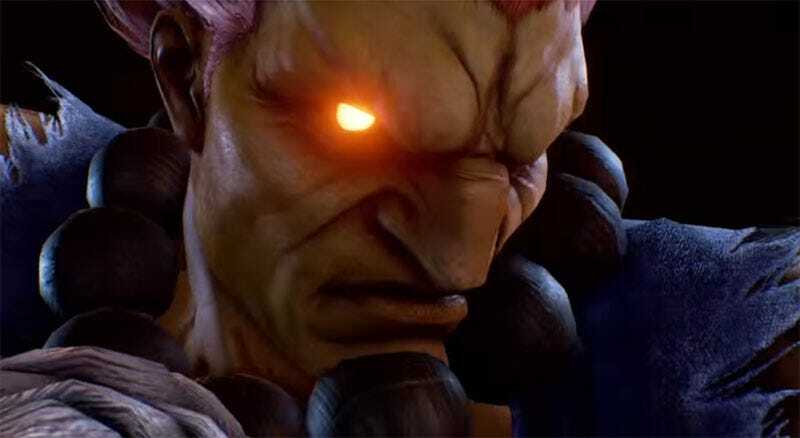 While it doesn’t feel like Tekken X Street Fighter is coming any time soon, fighting fans will be getting a little Akuma-flavored taste of those two worlds colliding again in Tekken 7’s upcoming “Fated Retribution” arcade update. Announced at the end of the 2015 King of Iron Fist Tekken 7 Tournament (via Shoryuken), Tekken 7 Fated Retribution brings new characters, costumes, tweaks and touch-ups to Namdai Banco’s (whatever) arcade fighter, while finally answering the question of who Heihachi’s wife Kazumi was begging to end her husband in earlier trailers. Akuma matata, Kazumi. If anyone can kill your husband in a game that’s essentially a prequel to a bunch of other games in which he obviously lives on, it’s this guy. Contact the author, Fahey X Kotaku at fahey@kotaku.com or follow him on Twitter at @bunnyspatial.